Article Title: ‘Conceptualizing Sanctuary as a Process in the United States,’ for the October 2019 Special Issue, ‘Displacing Borders, Dislocating Refugees’. I textually examine a set of immigrant sanctuary policies from the United States to show that sanctuary constitutes a process rather than a label for a place. I draw upon examples from 2001-2014 to illustrate variation in policy creation and application and to demonstrate that some policies operationalize a declarative approach to sanctuary whereas other foreground a procedural approach. In all of these settings, context-specific factors shape the form and content of the policies. Importantly, the policies signal possibilities for greater belonging and inclusion in cities and counties for all residents. 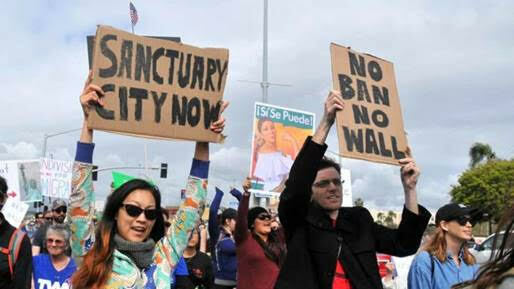 Shifting our understanding of sanctuary away from something a city or county is or is not invites deeper consideration of what practices advanced by sanctuary policies can contribute to greater freedom and belonging for all residents in a place. Such interpretations can contribute to greater clarity about how sanctuary policies work in practice and inspire further policy making that honors the right to residency for citizens and noncitizens alike. My paper joins conversations unfolding in legal studies about sanctuary policies and their impacts and ones in geography about the variegated landscapes and implications of subfederal policy making. One interesting finding is that sanctuary policies are neither uniform nor ubiquitous in the United States. Furthermore, although public discourse might suggest otherwise, sanctuary policies can positively influence the lived experiences of both citizens and noncitizens in a city or county. This paper advances an understanding of immigrant sanctuary as a process rather than a fixed label for a place. Such a focus opens up understandings of sanctuary as dynamic, context-specific, and contingent. Furthermore, engaging with sanctuary as a process underscores how subfederal policies advanced in the name of sanctuary can positively impact all residents of a place, not just noncitizens. Amplifying the context-specificity of subfederal policy making related to sanctuary draws attention to the salience of place in the creation and implementation of these policies. Furthermore, critically examining sanctuary policies helps reveal how cities and counties respond to national immigration enforcement practices and policies. Such an analysis emphasizes the utility of investigating phenomenon from the local to the national scales.